Can Gluttony Be a Virtue? We’re familiar with the dangers of gluttony—from obesity to gout—but is there a downside to our current obsession with healthiness and moderation? Americans’ two favorite holidays—Christmas and Thanksgiving—are the days we feast and the times we associate with love and togetherness. We toast happy occasions and console friends and family over drinks. 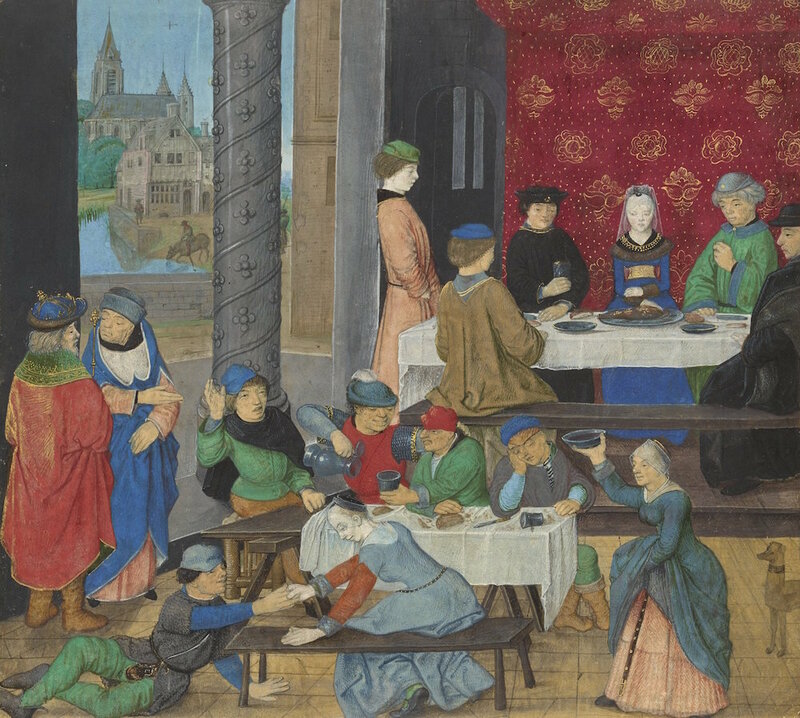 What role does feasting play in modern society? What social and psychological outlets do food and drink offer us all? As the Getty presents The Edible Monument and Eat, Drink, and Be Merry: Food in the Middle Ages and Renaissance, author of Gluttony Francine Prose, UCLA medieval historian Teo Ruiz, and chef, owner of three Los Angeles restaurants, and former contestant on Food Network’s “The Next Iron Chef” Eric Greenspan visit Zócalo to discuss when too much is a good thing. Image: The Temperate and the Intemperate, about 1475, Master of the Dresden Prayer Book, Author: Valerius Maximus. The J. Paul Getty Museum, Los Angeles, Ms. 43.